One of the best ways to increase the number of your fans and promote your fan page is by integrating Facebook Plugins into your website or blog. Facebook gives you wonderful options to redirect people to your fan page, promote your content on their timeline, or comment and connect through Facebook accounts. Thus, in many different ways, plugins do two simple things – promote awareness and increase connectivity. While there are lots of 3rd-party apps for Facebook plugins, nothing beats Facebook’s own social plugins which are widely used online today. The most famous is the “Like” button which is used by millions of webmasters to promote their sites. Here is a list of Facebook Plugins that can help you do wonders. We would definitely recommend using more than one plugin. The activity plugin displays the most important activity happening at your blog – whether someone liked a post, commented on the Facebook comment box or shared the post with their friends on Facebook. If a user is logged into Facebook, the plugin will be personalized to highlight content from their friends. It is like a smaller version of your Facebook News Feed – it’ll indicate what your friends have been commenting on, sharing and ‘liking’. This plugin only makes sense when you have daily traffic to your site and constant activities, else a feed of older activities will not leave a good impression on new visitors. The Comments plugin lets users comment on your blog. A great feature of this social plugin is that whenever someone comments on your blog and leaves the ‘Post to Facebook’ check box ticked, the comment will appear on their Facebook activity feed with a link back to your blog. This helps to spread awareness and increases the number of links to your blog. Also, this comment box is extremely user friendly and is quite simple to understand. The Facepile plugin displays the profile pictures of all the people who have ‘liked’ your blog or have signed up for it. You just need to enter your blog URL and your plugin would be ready to go. Once again, this is helpful only if your blog has enough likes and followers. The Like Box plugin lets users ‘Like’ your Facebook page from your website or blog. There is no need to visit the page itself. 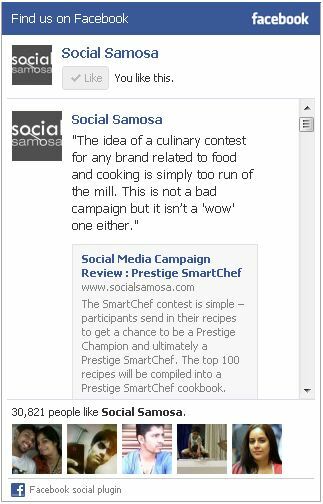 Also, the box displays an activity feed of your page at Facebook, and makes it really easy for users to like your blog. The plugin is also quite customizable – for instance it also has an option to turn off the activity feeds and even thumbnails. The Like button function is similar to the ‘Like Box’ but it serves a different purpose. It is a handier button which can be added to a post’s header and footer. This button allows individuals to ‘Like’ a respective post or your blog as a whole. Today, Facebook likes have become one of the determinants of your online success. It is a must to have this plugin. A Live Stream plugin lets users share comments and activities in real time on your blog. Live Stream works best when you are running a real-time event, like live-streaming video for concerts, speeches, or web chats. However, it is no longer available since mid- October. However, just so you know what this feature looked like, here is an image. You can now substitute the Live stream plugin with the Comments plugin. The Facebook Login button lets users login to your website with their Facebook account. In addition, the user can see thumbnails of friends who are already part of your blog or site. The button can be customized to display a specific number of thumbnail rows. This plugin features all the recommendations your blog or site has earned. Whether a particular post or the blog as a whole, the plugin would display which people the recommendations were from. If you are a B2C company, make sure you have this plugin. The Registration plugin allows users to easily sign up for your website with their Facebook account. The plugin is a simple iFrame that you can drop into your page. When logged into Facebook, users see a form that is pre-filled with their Facebook information where appropriate. The registration plugin gives you the flexibility to ask for additional details which is not available through the Facebook API (e.g. favorite movie). The plugin also allows users who do not have a Facebook account or do not wish to sign up for your site using Facebook, to use the same form as those who are connecting through Facebook. This eliminates the need to provide two separate login experiences. The Send Button allows users to easily send content to their friends. 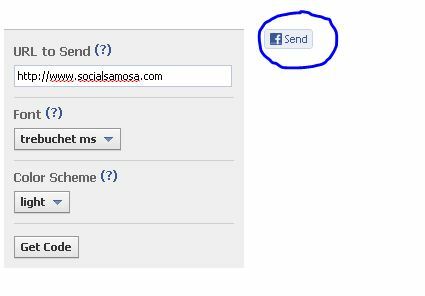 People will have the option to send your URL in a message to their Facebook friends, to the group wall of one of their Facebook groups, or through an email. Though the Facebook ‘Like’ button has a ‘Send’ option as well, the use of this button has decreased. However, it is still effective when it comes to content sharing. Also, because of its size, this button can be easily placed along with different content entries on a page. Hence, individual links can be sent out to the news feed of the user. #BoyfriendsOfinstagram - Our heart reaches out to you! You can now save your Instagram Live videos! 9 Aadhar Memes that prove internet is a funny place! 7 global sports marketing campaigns that inspire! Electronics and Communication Engineer by graduation, Social Media Manager by Interest, currently studying Strategic HR Management. Experimenting with new Ideas and Concepts. To know more about me, ping me or send me your 'Slam Book' will be happy to fill in all the details. *Sunday Closed*.